May 27, 2015 – NASA has taken another step toward returning America’s ability to launch crew missions to the International Space Station from the United States in 2017. 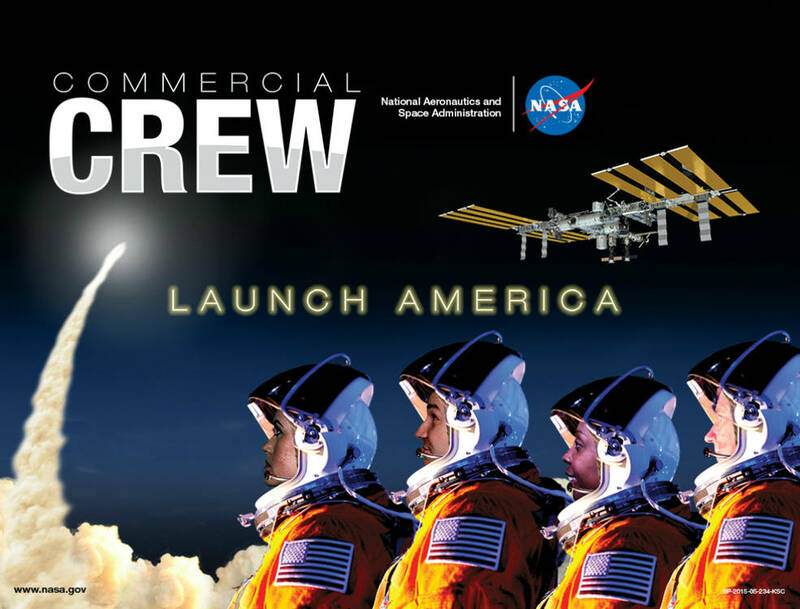 The Commercial Crew Program ordered its first crew rotation mission from The Boeing Company. SpaceX, which successfully performed a pad abort test of its flight vehicle earlier this month, is expected to receive its first order later this year. Determination of which company will fly its mission to the station first will be made at a later time. The contract calls for the orders to take place prior to certification to support the lead time necessary for the first mission in late 2017, provided the contractors meet certain readiness conditions. Missions flown to the station on Boeing’s Crew Space Transportation (CST)-100 and SpaceX’s Crew Dragon spacecraft will restore America’s human spaceflight capabilities and increase the amount of scientific research that can be conducted aboard the orbiting laboratory. Boeing’s crew transportation system, including the CST-100 spacecraft, has advanced through various commercial crew development and certification phases. The company recently completed the fourth milestone in the Commercial Crew Transportation Capability (CCtCap) phase of the program, the delta integrated critical design review. This milestone demonstrates the transportation system has reached design maturity appropriate to proceed with assembly, integration and test activities. Orders under the CCtCap contracts are made two to three years prior to the missions to provide time for each company to manufacture and assemble the launch vehicle and spacecraft. In addition, each company must successfully complete the certification process before NASA will give the final approval for flight. If NASA does not receive the full requested funding for CCtCap in fiscal year 2016 and beyond, NASA will have to delay future milestones for both partners proportionally and extend sole reliance on Russia for crew access to the station. A standard mission to the station will carry four NASA or NASA-sponsored crew members and about 220 pounds of pressurized cargo. The spacecraft will remain at the station for up to 210 days and serve as an emergency lifeboat during that time. Each contract includes a minimum of two and a maximum potential of six missions.